EPOS, along with other GOPA Consulting Group (GCG) companies, implements projects on a global scale in both developed and fragile states. Delivering development aid in fragile or conflict-affected areas requires particular care. Inevitably, the question arises of whether in-person project missions are the only way to effectively monitor progress. Are there other remote possibilities worth considering? Over the past several years there have been a variety of examples highlighting the use of state-of-the-art technology like drones or 360° cameras. Widely known for their use in capturing dramatic sports footage, drones can also be used effectively for flyovers over hospitals, water towers, power plants and other infrastructure. Cameras capturing 360° views can be used for virtual tours inside project facilities. EPOS is one GCG firm that has tested these new technologies, using a drones and a 360° camera in a multi-hospital rehabilitation project in Afghanistan. The combination of drone flyovers and 360° virtual tours inside hospitals are creating unique advantages for remote project progress control. Operating the camera and drones is relatively easy and requires only a short familiarization period. The 360° camera enables photos to be taken either by hand, or by placing the camera on a surface (floor, table, etc.). The drone is fully autonomous and can be controlled entirely via a smartphone application. Both devices EPOS teams are using are affordable (basic set: around €400-600) and effective. To highlight remote monitoring with drones and 360° cameras, Michael Weinhara, team leader of the KfW-funded Rehabilitation of Hospitals in Northern Afghanistan project, and fellow team member Benjamin Albert, Senior Site Supervisor/M & E Expert, held a meeting at EPOS HQ in Bad Homburg, Germany, for KfW representatives in early October. They presented their experience using of this state-of-the-art technology and confirmed the positive impact it is having on the project. Follow-on event discussions covered a full range of considerations; including the idea that conducting monitoring activities with these devices depends on the background of the team member as well as the level of detail required. Experts with architectural backgrounds may be more interested in a broader overview, while physicians may question whether the level of detail captured would be sufficient to fully replace on-site observations. Pictures cannot provide information about the functionality of medical equipment and, therefore, cannot fully replace a physical presence in this case. Likewise, fine architectural details may be difficult to assess remotely, particularly if the facilities have never been visited in person previously. The Afghanistan project team continues to see the added value of using state-of-the-art technology to monitor progress remotely across rehabilitation initiatives carried out in fragile areas. EPOS as well remains optimistic that this initial reference using drones and 360° cameras can be implemented in other current and future projects with increasing positive impact. Eventually, these technologies may provide a solution to monitoring when a physical presence is no longer possible due to security or other concerns. 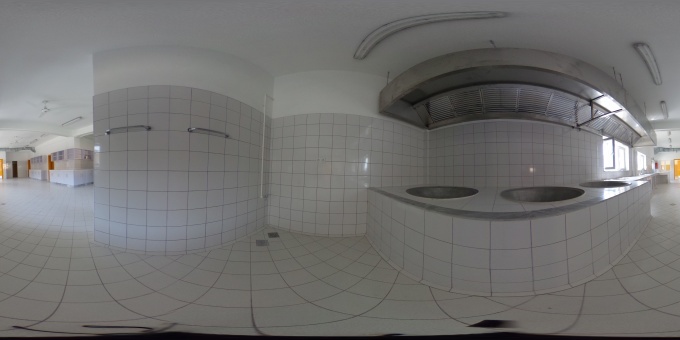 Photo: 360° camera view of the inside of an Afghan hospital currently undergoing refurbishment.